Toyota Camry Review 2019 | What Car? Dunkin’ Donuts, late night chat shows, Twinkies, Sketchers, Seinfeld and the Toyota Camry – all concepts that, while proving widely popular in the good ol’ US of A, haven’t transferred particularly well when they’ve been brought over to the UK. And the Camry is a strong case in point. While American buyers have always loved the idea of large, comfortable, petrol powered saloons (Toyota sells more than 400,000 Camrys a year in the US alone), British buyers have typically favoured smaller, more nimble, diesel cars from ‘premium’ manufacturers. It’s the reason the Camry was canned back in 2004; while the European big saloon market went mad for diesel, Toyota didn’t offer one and sales predictably slumped. But now, in an ironic turn of events, the Camry name is about to make a return to British dealers due to – yup, you guessed it – a downturn in diesel car sales. 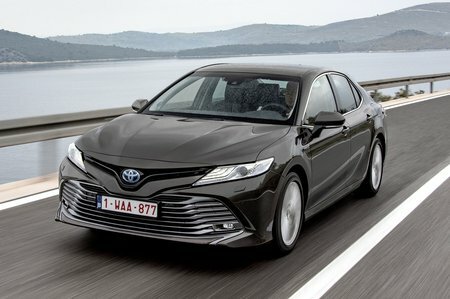 Available exclusively with a hybrid powertrain comprised of a 2.5-litre four-cylinder engine and an electric motor, the new Camry is bang on-trend and is perfectly placed to compete with other ‘self-charging’ (cars that top up their batteries automatically when you decelerate or use the brakes) rivals such as the Ford Mondeo hybrid, as well as plug-hybrids (which can travel a lot farther on electric power), such as the Volkswagen Passat GTE . 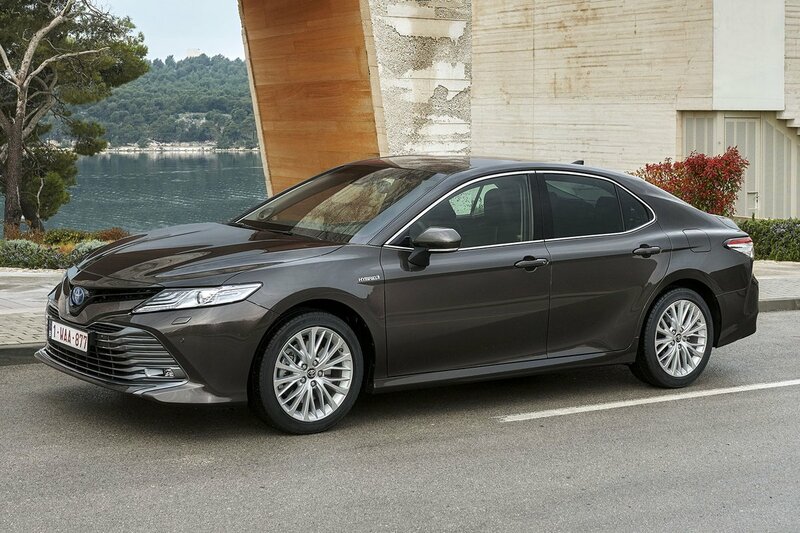 Put simply, the Camry benefits from many of the same advantages as Toyota’s smaller Prius, but with the added practicality of a large family saloon. And we mean large - it’s longer than the Ford Mondeo and only just shorter than the BMW 5 Series. But does outright size equate to a practical family car? And how does the Camry square up against conventionally powered big hitters like the BMW 3 Series? Stick with us over the next few pages and we’ll tell you all you need to know. And don’t forget, if you want to buy a Toyota Camry, or indeed any other car, head over to our deals section to find out how much you could save without any awkward haggling.